POTENTIAL PATIENTS: If you are a not yet a patient of Nasa Chiropractic feel free to browse the online review websites below to learn what others are saying about our clinic and our doctors. EXISTING PATIENTS: If you are an existing patient we want to thank you for trusting us with your healthcare. Please take a minute to post a review online to tell others about your experience at Nasa Chiropractic. Below are a few key websites for online reviews and instructions on how to post a review on each site. Click here to visit our Health Grades page. Scroll down the page to find the doctor you see at Nasa Chiropractic. Click the “Take A Survey” button next to the photo of your doctor. Complete the survey questions and the section titled “Tell us about yourself”. You will be asked to whether you would like your survey verified by email or text message. Select your preference and click the orange “Submit Survey” button. You will receive a text message or email (depending on which you selected) asking you to confirm your survey to complete the process. Follow the instructions in the email or text message to complete the verification. After verification, the survey is complete and has been submitted. Health Grades editors will need to approve your review, so it may not appear for a few days. We love getting reviews on Yelp, but unless you are an active Yelper who has posted reviews of five or more businesses, Yelp will probably filter and hide any review you post. 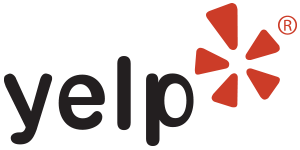 If you are not an active Yelp user, you may want to review us on one of the other sites on this page.